Construction has begun on the 76-story Rafael Viñoly-designed tower in Chicago’s South Loop Neighborhood. The 829-foot-tall tower will bring 792 new apartments. Construction has begun on the 76-story Rafael Viñoly-designed tower in Chicago’s South Loop Neighborhood. 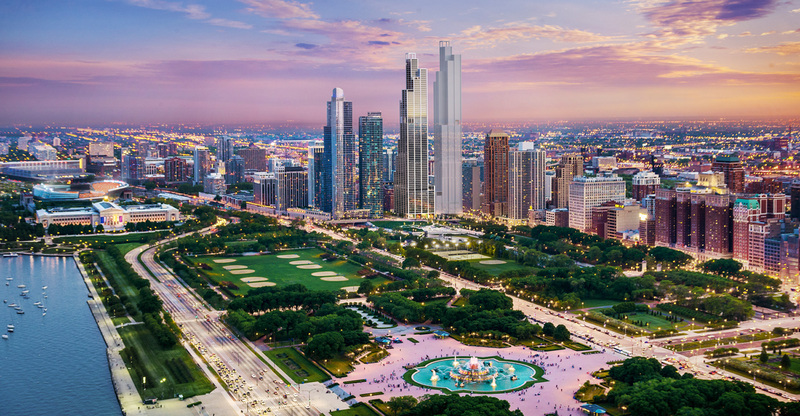 Located at the southern end of Grant Park, the new tower has also been given a name: One Grant Park. The new skyscraper will go a long way to completing the urban wall that lines three sides of the large park and museum campus in Chicago’s downtown. It’s one of the last major portions of the Central Station master plan, which has been underway for over 25 years. Currently approved as a single tower, plans have already been floated to build a second adjoining tower, which would over double the size of the complex. 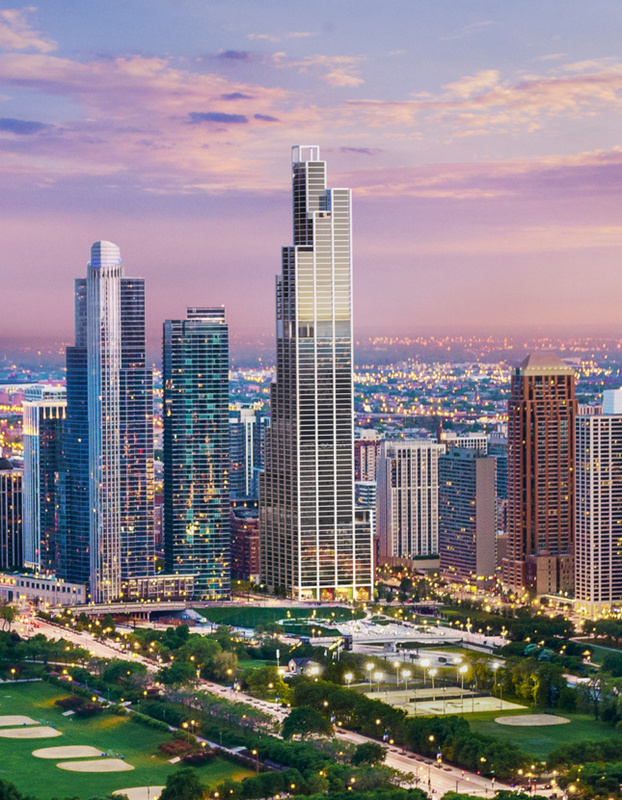 The 829-foot-tall tower will bring 792 new apartments to the booming South Loop. The form of the tower echoes that of the iconic Willis Tower. Units will range from studios to three-bedroom apartments, with many having balconies. The large setbacks that define the building’s silhouette will be used as terraces and its 17-story plinth will contain amenities including a community space, a pool, fitness center, and retail space.